BtoB is dedicated to the SME community and leading the way with business community stories they want to read and information they need to have. 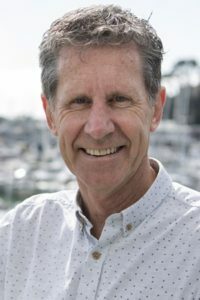 Thirty three years ago, Dr Bruce Page joined Marina Medical practice embarking on a ‘wonderfully fulfilling’ career in general practice that just a few years earlier he could never have envisaged. Last month he formally retired although he will maintain contact with the practice through his continuing co-ownership role in the neighbouring Marina Specialists, in partnership with plastic surgeon Mr Martin Rees. What can you tell us about your medical training and history with Marina Medical? I graduated from University of Auckland School of Medicine in 1980 then began life as a house officer at Greenlane Hospital. This lasted exactly one week before I decided a medical career wasn’t for me. I left and worked for a pharmaceutical company for more than two years before deciding to complete my medical registration year. Returning to hospital medicine I completed a couple of house officer years and gained a Diploma of Obstetrics. A chance phone call saw me join Dr Tony Edwards at Marina Medical in 1985. I was 28 with no experience in general practice – patients must have been most forgiving! In 2009 I shifted the practice from the old marina building into the first of the three new marina buildings. Designing the general practice (Marina Medical) along with the adjoining specialist practice (Marina Specialists) was a challenge, the results of which I am very proud. My wife Juliet helped with the interior design and I think we have achieved something very special. Patients still say: “How do you get any work done with that view?” Today the new management team is doing an excellent job and the future looks bright. Do you have any special interests? I am a bass guitarist and have played in several bands, including being part of the music team at Elim Church on Botany Rd for the past 26 years. The mostly young people in the band (the saxophonist is older than me – just!) are probably waiting for me to pack up my bass and go but I’ve said I’ll still be playing when I’m in a wheelchair and on an IV drip. I have also been the doctor at Western Springs Speedway for the past 35 years. Wonderfully, I have a very long-suffering wife – and a very expensive pair of hearing aids. Those local residents were right – Speedway is a noisy place. Did you always want to work in general practice? I like the continuity of care that general practice offers as opposed to the short term relationships of the other specialties. Dealing with all aspects of healthcare, you are never bored. You never quite know what’s coming through the door next and you have to be prepared for anything. What role has your wife Juliet played at the practice? Juliet has had a number of roles. She is a registered nurse but has not worked as a practice nurse as such, instead providing supportive roles such as helping with recalls, giving flu vaccines, looking after the books. And, much to the horror of my fellow staff members, she makes my lunch! Juliet also has a flu vaccination business of her own, vaccinating employees in the workplace, including staff in some local schools. She has also carried the bulk of parental duties, raising our four children. We found a story written by our second son, Elliot, when he was nine years old. He wrote: “Dad works long hours. We only see him on Thursdays, Saturdays and Sundays.” Elliot is training to be an emergency medicine specialist. You’d think he would have learnt! In the past you were among those GPs who delivered babies. Do you regret this loss from GP care? For the first 18 years in general practice, I delivered babies – some1600 in all. I loved it despite many nights with little or no sleep, driving backwards and forwards to the old National Women’s Hospital and the former Howick Obstetric Hospital in Selwyn Road, then later to Botany Downs Maternity Unit. The weekend my first son was born I had four other deliveries with one of those women in labour at the same time as Juliet – I kept forgetting which end of the bed I was supposed to be at. I was back at work on the Monday seeing 30 patients; in those days you wouldn’t dream of taking time off. Sadly, obstetrics was ripped away from GPs (thank you Helen Clark), denying women the option of having the continuity of care that only GPs can provide. GP obstetrics paid very poorly but it kept a practice buoyant with a steady stream of new little patients! The last baby I delivered is now 15 years old – I think she would agree we have a special bond! What are some significant changes you have seen in general practice? I think the three most significant are: 1: The demise of GP obstetrics; 2: The intrusion of the computer into the consultation room; 3: The changing funding streams which have seen the advent of capitation payments attached to patient enrollment. While the loss of obstetrics was all bad, there are both good and bad aspects attached to the other two issues. The computer is a powerful tool but can, and does, get in the way of the doctor/patient relationship. We find ourselves sitting in front of it at home for hours on end, checking results, correspondence, and writing letters and emails. Government funding through the DHBs and PHOs may have led to lower patient fees but has also led to greater external control of practices, usually not for the better. There is an ever burgeoning increase in targets, audits, and a variety of complicated funding streams and protocols which change from month to month, seemingly at the whim of people who either know little about the coalface of primary care or are themselves pawns in the “out of control” Goliath healthcare has become. Men are generally thought to be reluctant to see the doctor. Is this attitude a myth and, if not, has it changed over the years? It is not a myth. Traditionally men have been backward in seeking medical attention when unwell and they have also been poor at taking a preventative approach to healthcare. However, it is heartening to witness a gradual shift in these attitudes and I am far more optimistic about this issue than I was 20 years ago. What are your thoughts about the way in which general practices have progressively shifted from solo or small partnerships to large clinics with several doctors, a team of nurses and often other health practitioners too? Are we losing that personal doctor/patient relationship and the trust patients put in their doctor? It is very difficult for a solo practice to remain financially viable these days and for this reason there aren’t many left. While there are economies of scale with larger practices, it can be difficult to maintain that personal approach. Thirty years ago most patients could name their GP and the practice; these days fewer patients can name ‘their’ GP. This is a great shame, because I firmly believe the most important aspect of a therapeutic relationship is the relationship itself. In the race to improve the ‘science’ of medicine we are in danger of losing the ‘art’. Marina Medical is a mid-range sized practice, large enough to be cost-efficient but small enough to maintain the personal touch. What about the standard appointment time – generally 15 minutes – is this long enough? For minor ailments and other straightforward consultations 15 minutes is adequate. Unfortunately, healthcare is becoming increasingly complicated and the demands made on doctors from patients and the DHBs/PHOs are growing. But the problem for doctors is not just the time spent with a patient. These days the demands on time dealing with the dreaded ‘inbox’ are nearly as great as patient contact time. Doctor burnout is a very real phenomenon worldwide and the main cause is time spent on administrative tasks. But, I’m sure many people reading this will be nodding their heads when considering their own industry. We hear the call, for ‘early detection’ but also hear about serious ailments going undetected or failing to be diagnosed correctly. Any thoughts? It is important to distinguish between the diagnostic and treatment mistakes made due to a poor standard of care and those that are due to “bad luck”. I really feel for those practitioners who get caught out by a difficult diagnostic situation and miss something important. “There but for the grace of God, go I.” We are all human and we all make mistakes. However, in healthcare our errors can have catastrophic consequences. My advice to young practitioners is to be thorough, pay attention to detail, have processes in place, think outside the square and, above all, ensure you communicate well with your patient. Have you seen an increase in patients researching their condition online? How do you feel about this? In the internet’s early days patients would sometimes arrive in my office with 37 pages of printed material, ask me to read it and to get back to them. Thank goodness that doesn’t happen so often now. I think the public is gradually becoming more discerning. A good rule of thumb is, DO NOT make a diagnosis from researching the internet, but DO research your condition once the diagnosis has been made by your doctor. I also advise patients to generally avoid reading blogs about their condition. Blogs are rarely helpful. Where do you stand on the question of voluntary euthanasia and assisted dying? I am not in favour at all and, I don’t personally know many physicians who are. We are told that 71% of the New Zealand public favour voluntary euthanasia but what does that really mean? The public often sees certain high profile cases and I fear it is from these that many opinions are formulated. But I think if you sat down with that 71% and took them through all the different possible scenarios which could eventuate if we head down this path then I believe that number would reduce significantly. I count it as a privilege to have walked with my terminally ill patients and their families through their final illnesses. Yes, many of those journeys have been difficult but let’s not get off the bus just because the road may be steep and winding. I am glad to avoid being part of a medical workforce operating in an environment where this is an option. The majority of Britons thought Brexit was a good idea. Ask them now, and they’re not even out yet! What are your thoughts on drugs/treatments presently withheld by Pharmac or unavailable here on the basis of cost, but which are used in other countries and could be saving lives here? Pharmac may have saved the country a lot of money but I think some of the decision making is driven by cost alone to the detriment of the health of many New Zealanders. Right now I have a patient who is responding well to a drug for a deadly metastatic cancer – it could well save her life. It has only recently been funded after lengthy application process that denied many like her. If you could be Minister of Health for a day what is the first thing you would do? If you could invite any three physicians (living or dead) to dinner who would they be? I would invite only one – Dr Tony Edwards – he’s a great cook. Okay, okay…you want three, then, Drs John Betteridge and John Malcomson. They’ve both fairly recently retired and can probably give me some tips on life after medicine. How well did your business perform over 2018-19 financial year? Do you need to be in touch with business? Do you own a business? Do you work in a business? Then you need to be a part of the fastest growing business website in the country: BtoB.